Monday, October 9, 2017 7:00 PM Green High School (Uniontown) AWAY 0 Copley Senior High School HOME 1 Game Recap The girls varsity soccer team earned a home win on Senior Night, as they defeated the visiting Bulldogs from Green. Olivia Olorunto scored the lone goal of the night, with Mion Shinohara assisting. Go Indians! Wednesday, October 4, 2017 7:00 PM Aurora High School AWAY 1 Copley Senior High School HOME 1 Game Recap The varsity girls soccer team played to a 1-1 tie against visiting Aurora on Wednesday night. The girls are back in action Saturday as they head to Jackson for a 12pm game. Go Indians! 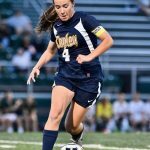 Saturday, September 30, 2017 7:00 PM Copley Senior High School AWAY 1 Brunswick Senior High School HOME 1 Game Recap The girls soccer team played to a hard fought 1-1 draw with Brunswick on Saturday night. The girls are 8-2-2 on the season and host Aurora on Wednesday in Suburban League action. Go Indians! 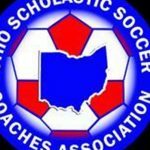 Wednesday, September 20, 2017 7:00 PM Copley Senior High School AWAY 3 Tallmadge High School HOME 0 Game Recap The girls varsity soccer team defeated Tallmadge on Wednesday night with another strong defensive effort. The girls played well in a league road win. They are back in action Monday as they host Medina. Go Indians!